Details: This new drum is designed to work with the VEPR 12 shotgun with the factory polymer magazine well. 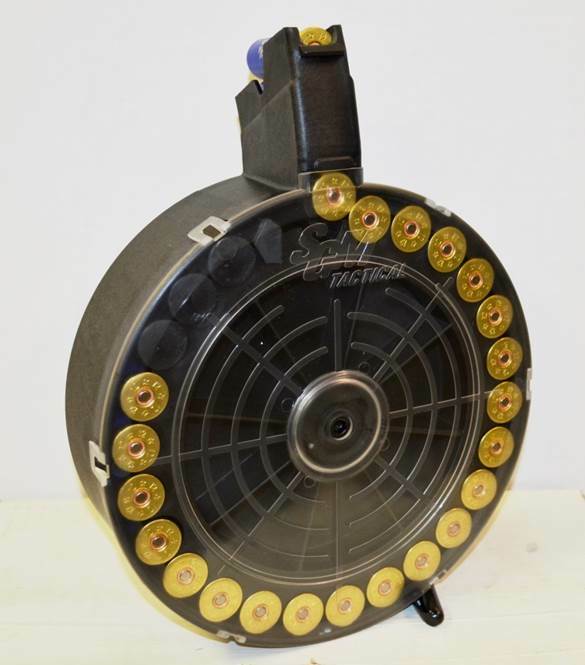 The Vepr-12 25-Round high capacity polymer drum is completely manufactured in the USA. One drum counts as 2 922-R compliant parts. Each drum has a manufacturer warranty of 5 years.